The R&BS team understand the particular building maintenance requirements of body corporates and strata management. We have an extremely sound knowledge of the sector, gained over almost 90 years in business. If you’re responsible for the maintenance and repair of your building, it’s a very good idea not to let your premises fall into disrepair. The longer you go without preventive repairs or maintenance, the more it will eventually cost to put right. You may find they ultimately even threaten the integrity of your entire structure. R&BS provides high quality roof repairs and external building rehabilitation services, that are tailored to the needs of body corporates and strata managers across NSW and Queensland. 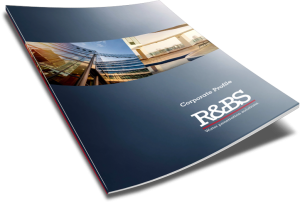 At R&BS we understand your need for individual, customised service. That’s why we work hard to establish your building maintenance requirements, before coming up with a tailored plan to ensure they are fulfilled. We’ve worked with body corporates and strata management facilities of all sizes. Our team have the knowledge and skill to carry out expert roof repairs for body corporates and strata managers. Whether your roof is metal or tiled, our experienced team will assess and recommend the most effective way of waterproofing and repairing it. We can also provide landscaping services to improve the appearance of your buildings and enhance value. Of course, we understand that budget is an important consideration for your body corporate building maintenance and repairs. So our project managers will work with you to come up with a realistic costing that delivers the result you need, within your financial constraints. For a customised proposal for your body corporate maintenance services, call R&BS now on 1800 550 037 or fill out the contact form below for a fast response.